At Khudiram Anushilan Kendra, Near Netaji Indoor Stadium, Kolkata, India. 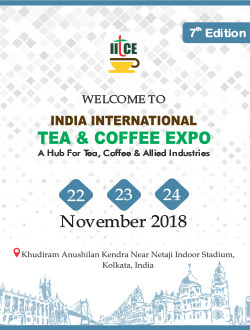 "INDIA INTERNATIONAL TEA & COFFEE EXPO : 28, 29, 30 November 2019 at Khudiram Anushilan Kendra, Near Netaji Indoor Stadium, Kolkata, India. " This 3-Day event inclusive of conference, seminar, championship and Industry award function emphasizes on focused buying, selling, latest trends, product launches and industry education The 7th edition is expected to be more magnificent than ever and facilitate plethora of business opportunities to about 80+ suppliers spread across 125+ stalls and 3000+ quality trade buyers from all across the globe. 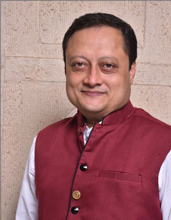 The buyer-turnout is expected to be from 100+ cities from Indian states, and internationally from countries and regions like USA, Russia, Nepal, Bangladesh, Japan, China, Vietnam, Sri Lanka, Dubai, Turkey, UK, UAE showing great appreciation for quality products to be displayed at IITCE. download our 7th Edition PDF whitepaper! Signup today for receive our monthly newsletter & new updates. 1025, 10 Floor,Ijmima Complex,Mindspace, Malad West, Mumbai, Maharashtra – 400064, INDIA.